What is the most "infamous" phone number in a rock song? 867-5309, you're probably right. To this day people are still calling the unfortunate souls who have this number. Hey by the way, did you realize that the dial tones in the Sugarloaf song "Don't Call Us, We'll Call You" are the White House's phone number. Yeah, give them a call, I'm sure they'll get right back to you!! Side note to the Sugarloaf song. Many people believe that Wolfman Jack was the artist calling out the radio call letters in that song. It was actually an impersonation by DJ Ken Griffin. Hey Dave, what kind of guitar is that without a head? 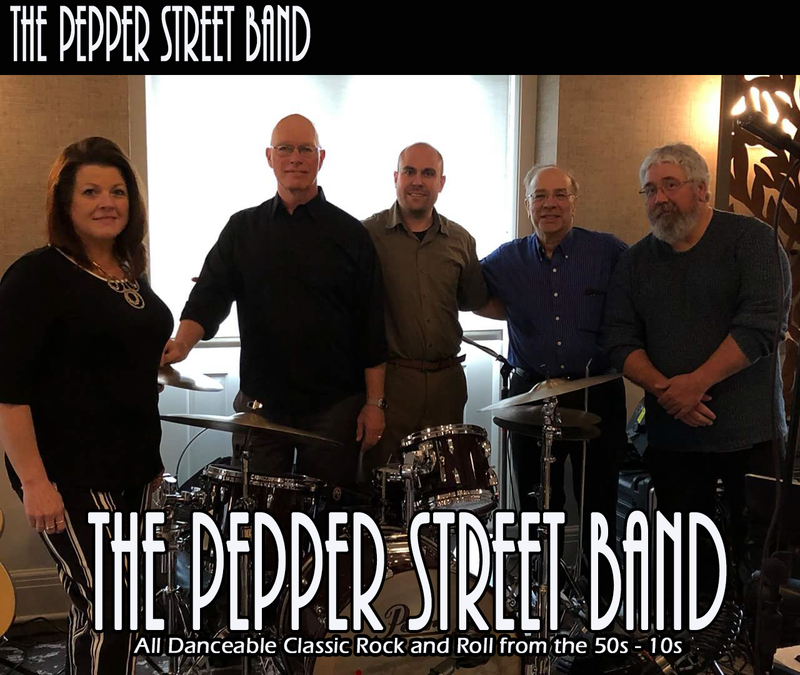 Pepper Street Band's schedule is filling up quickly so don't wait! Contact Dr Dave Houseknect or Don Bastian and get Pepper Street Band for your club, establishment or event.